Words From The Hallway: You will never guess what holiday it is. No, really. You will never guess. It's NATIONAL SQUIRREL APPRECIATION DAY!!!!!!! ...you have no idea how happy this makes me. 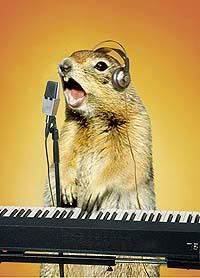 As you know, I am a singing squirrel troubadour...of sorts. So...APPRECIATE ME! ;) Just kidding. "I would actually love to see a unicorn with a machine gun." It would shoot rainbows at lightning speed and be automatically reloaded from happiness and joy. "[completely seriously] Could you not say it like Dora the Explorer?" It'll take all my time and efforts, but...no. "Your patella is so attractive." Um, thanks. I think. Isn't your patella a part of your knee...? We gotta appeal to the kids. You know it. Patellas are appealing, though (apparently). So that's good.